It is good if you can say that about being a SCHS member and attending the events. And by being a member, it is clear that you have an interest in history and the Sappington-Concord area. In addition to that, it might be in order for you to gently take stock of what you are doing with history right now, and what you might start doing in the near future. Below are two items, very simple things, to help you take a look at yourself and your interest in history; the History Dance Card, and the events listing with event attendance record. Steamboat on the St Louis riverfront. Detail from Compton and Dry 1875 pictorial map of St Louis. Attend this presentation by family history researcher, Jan Wenk. She tells of finding a steamboat disaster in her family tree. Jan gave this presentation for the SCHS at Friendship Village program in August of 2014. The History Dance Card is a little like a real dance card. Do you think about yourself in an historical way and what you are doing with history? If you were at the November 2013 daytime presentation at Tesson Ferry library, where we heard about the history of manners from Emily Jaycox, you would have gotten a “”History Dance Card.” The card resembles the traditional dance cards that people used to get at dances to plan who would take each dance. 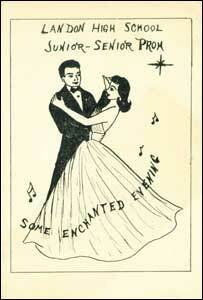 Emily Jaycox talked about dance cards no longer being used at dances. The History Dance Card asks not who you’re dancing with, but what you are thinking about history, for yourself and for others and for the future, also what you might be doing about history. It’s just a fun little exercise to prompt us to contemplate what history means to us. If you didn’t get a copy of the History Dance Card at the daytime presentation, you can get one from the website, see the page History Dance Card, or get a copy at the next general meeting in January. Not to put any special pressure on anybody to think historically, it’s just something to think about. So enjoy looking it over. See the History Dance Card. How many 2014 events did you attend? See Events – 2014 page to take stock. How many 2013 event did you attend? Review this 2013 SCHS event listing. Wasn’t 2013 a great year of events and programs at SCHS? Do you remember all those fascinating presentations and programs? Never mind if you are sorry to have missed something. Some presentations are repeated at Friendship Village so you get a second chance to attend. If not, the new year is chocked full of more memorable events and programs. See Events 2014. Download and print a copy of the 2013 event listing for your personal use. There are check boxes for you to note events you attended. Download your copy of Events attended in 2013 and personalize it for yourself, and to review the year. Besides attending SCHS events, what are you doing with history yourself? Taking a class? Doing genealogy? Writing a family history? Working as a volunteer at a museum or historical site? Telling you kids or grandkids family stories? Do you have a special collection? If you can share the story of what you are doing or have done, please send it to SCHS to share on this website or in print. Use the Contact Us page.